A typically stylish aftermarket package by the acclaimed British designer. 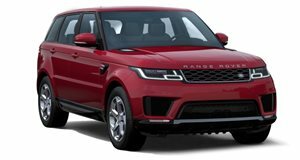 The latest in a long line of styling kits by A. Kahn Design for the Range Rover Sport has been dubbed the RS300 Vesuvius Edition and is based on the HSE 3.0-liter SDV6 diesel model. Finished in Santorini black metallic and Vesuvius orange, the luxury SUV has been fitted with a body kit consisting of a lower front bumper lip extension, RS front grille with 3D mesh, orange grille insert, front wheel arch LED light strips, and RS vented front wheel arches with integrated air dams. Kahn also added enamel wing shields, painted floating roof and hood stripe, and side exhaust vents and door handles finished in matte pearl grey. At the rear a stainless-steel Kahn crosshair exhaust has been fitted, while the car sits on 22-inch RS600 Black wheels with orange pinstripe that hide Vesuvius orange brake calipers. The interior has been customarily kitted out in luxury materials. From the diamond-quilted black leather with Vesuvius orange trim and machined aluminum vented foot pedals to the quilted leather binnacle and rear tailgate center trimmed in a 3D carbon finish, the cabin does not disappoint. Privacy tinted glass, stainless steel illuminated door entry sill plates and a clock bezel surround finished with Swarovski diamonds also feature in the opulent interior. The result, as you can see, is anything but your usual Chelsea Tractor, as the luxury SUV is known in its native market.